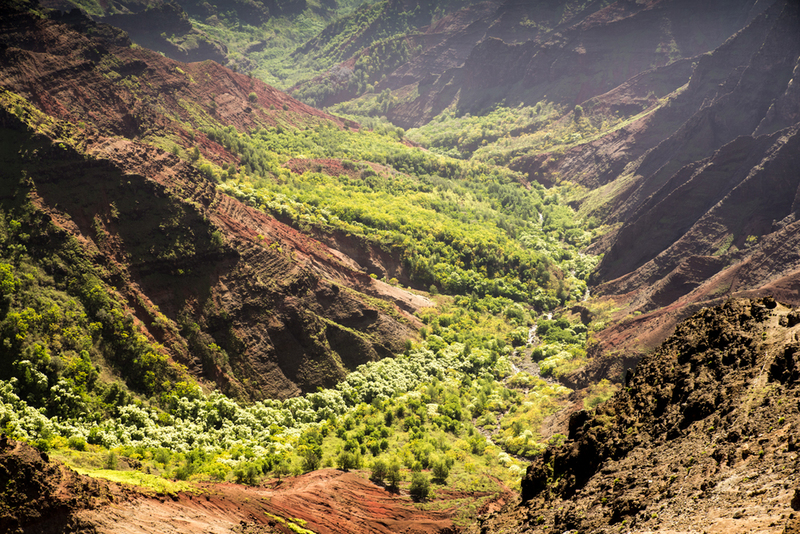 Last month, I went to the Hawaiian island of Kauai, which is a bit away from the main islands and less touristy (especially in the Northern and Western parts). 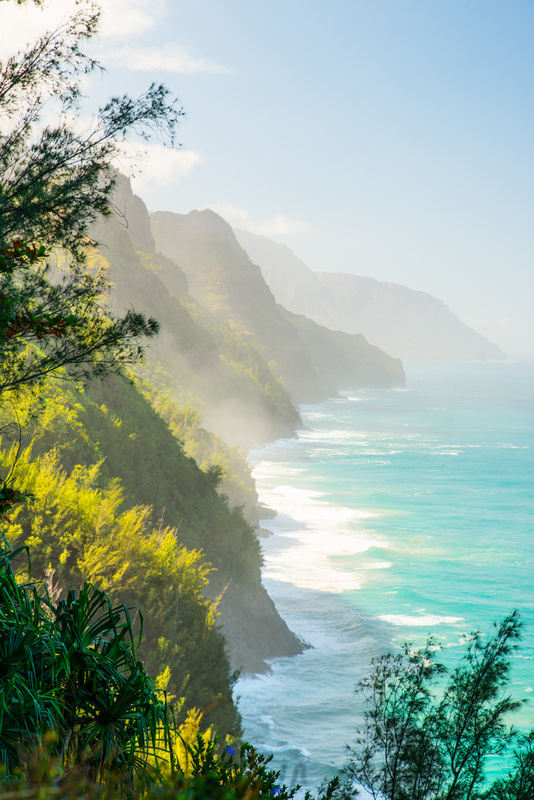 I stayed at the St. Regis in Princeville, which is very secluded and right at the Hanalei Bay, which offers stunning views at all times of day. One of the amazing things about this place is that you can see all kinds of weather systems coming through. Within two minutes you can go from a torrential rainfall to a clear and sunny sky. Another cool spot is Poipu Beach on the south side of the island. It's quite a bit more touristy, but still worth a visit, especially if you have children. Poipu Beach has a small bay and a coral reef that result in very calm waters and lots of colorful fish swimming around right below the surface. 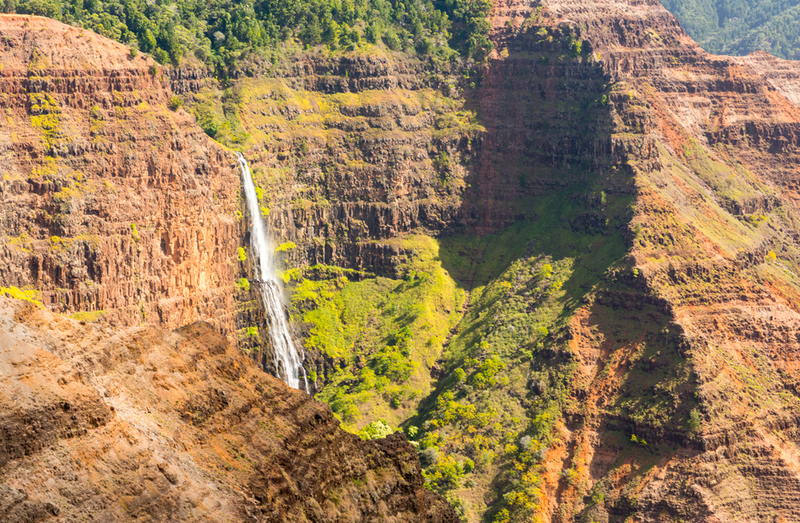 On the north-west side of the island, you have the Napali Coastline, the Kalalau Valley, and the Waimea Canyon - all of which are worth a visit. When you look at a map, it looks like a short drive to get to the north-west but the entire north-west is a mountain range with canyons, so you have to drive around. Island traffic can be slow and congested around Lihue, so prepare for a 2-3 hour drive if you are coming from the north-east side. 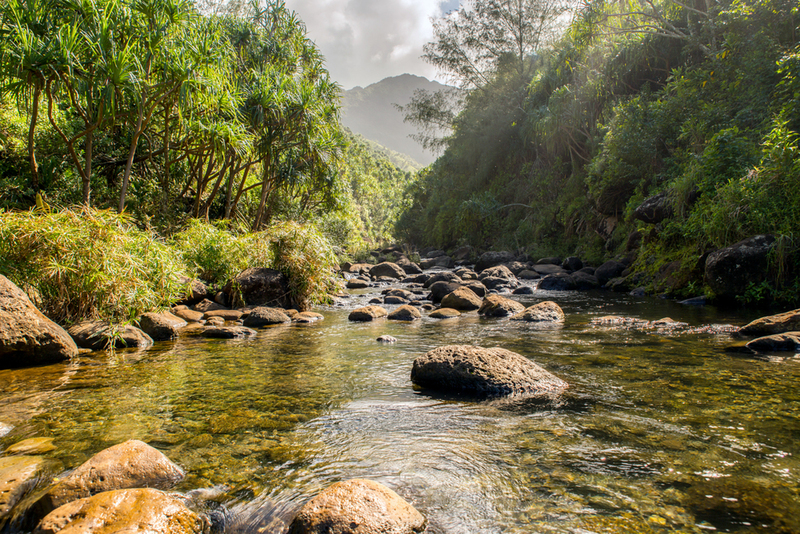 To get to the bottom of the Kalalau Valley (Kalalau Beach), you need to hike the entire length of the Kalalau Trail, which is considered one of the toughest hikes in the world with its steep and muddy slopes. I approached the first few miles of the trail and it's well worth it. 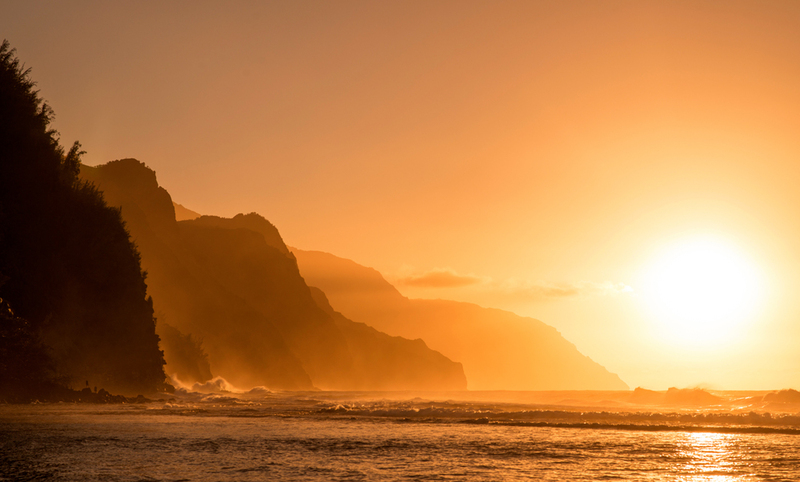 Expect to camp overnight at Kalalau Beach since the 11+ mile hike will take you most of a day. After a little more than two miles on the trail (the easy portion), you get to Hanakapai'ai Stream and Hanakapai'ai Beach. The stream is great to just jump in for a quick refreshment, but don't even think about bathing at the beach. The tides and shore-break are strong and can pull you out quickly. 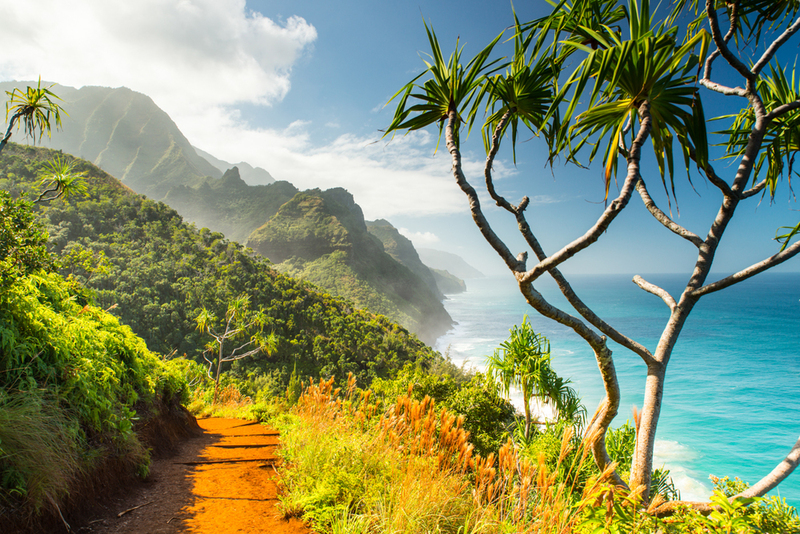 The Kalalau Trail starts at Ke'e Beach, which is all the way at the end of the road (literally). There is some street parking right by the beach that tends to fill up quickly during the day, but there is also a parking lot down the road. 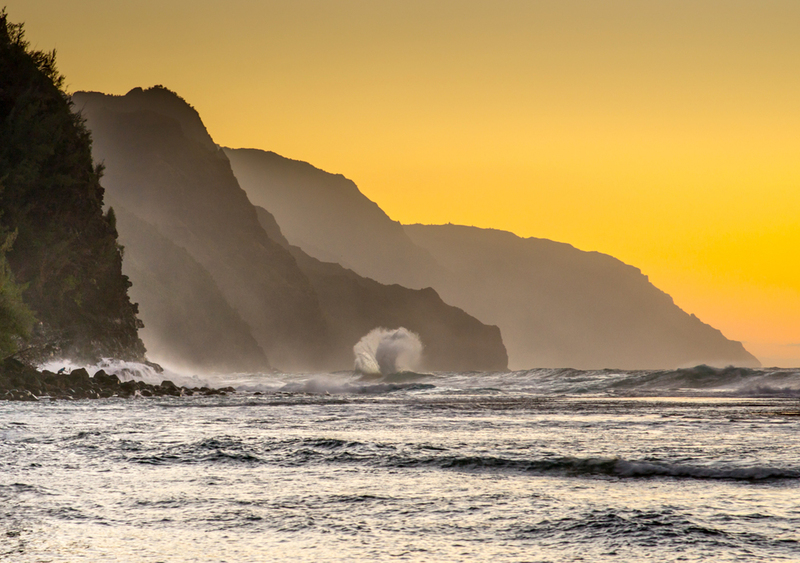 At Ke'e Beach, you can see the waves create some awesome shapes. 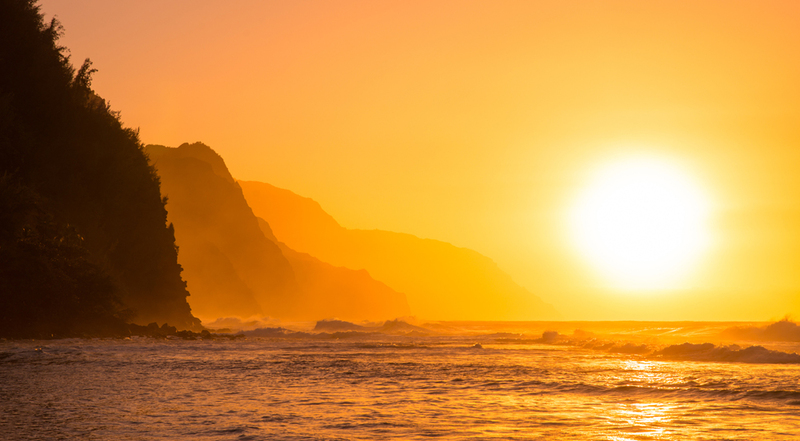 If you like to surf, a great place to go is Lumahai Beach. These pictures are just some screenshots from a GoPro video as the waves were pummeling me. Unfortunately, I had less than a week on the island, so I didn't get to go to many of the places that I wanted to see. But hey, at least now I have an excuse to go back.